The day that many ROM enthusiasts have been dreading has arrived: the CyanogenMod Team has announced the end of life support for the original Nexus One, along with other first-generation Snapdragon devices, including the HTC EVO 4G, [Droid] Incredible and Desire and others. None of these devices have official builds of CyanogenMod 9 (though plenty of independent ROM developers have done their best) and they won't be getting any CM updates beyond the 7.X Gingerbread branch. Just two short weeks after the Kindle Fire received its first dose of Android development goodness (read: root), the first full custom ROM has made its way to the device. 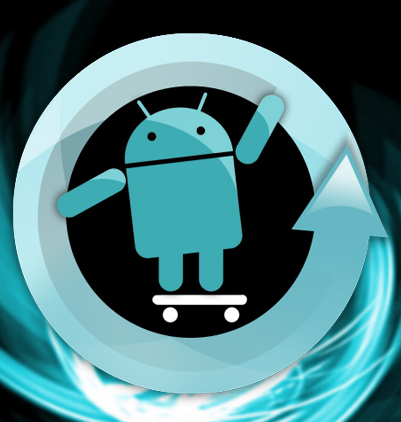 The ROM is question is, of course, CyanogenMod 7, the most widely distributed custom ROM among Android devices. Basically everything works, though there are a few glitches. The touchscreen was initially on the receiving end of one said glitch, as the alignment was off by 90 degrees. It has been a while since we've talked about anything new for the Desire S, but thanks to the Revolutionary unlock tool, this handset is getting its first taste of CyanogenMod. Nightlies for the device went live last night, joining the dozens of other handsets that have been missing over the last several weeks. So, if you're ready to show your Desire S some CM7 lovin', head over to this link to grab the download, and don't forget to grab Gapps while you're at it. The unstoppable CyanogenMod, Android's most popular custom ROM, is gaining yet another cool feature as of today, which is kind of reminiscent of the exact battery percentage mod that has become one of my favorites. Starting with tonight's nightlies and future stable releases, those green signal bars ("can you hear me now?") can be replaced with the exact signal strength measurement, in dBm (decibel-milliwatt is an electrical power unit in decibels (dB), referenced to 1 milliwatt (mW)). The team behind the most popular custom Android ROM on the planet, CyanogenMod, is not planning to take a break even for the national holiday (happy Independence Day, everyone! ), giving us a number of new reasons to praise their product over and over again. 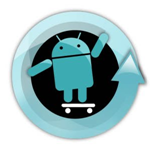 Wondering what CyanogenMod already brings to the table? Check out 13 Ways CyanogenMod 7 Makes My Android Phone Feel Future-Proof [Deep Review]. Hey, Droid 2 owners! Remember in the not so distant past when the Droid X received a workaround that allowed it to get its own build of CyanogenMod 7? Yeah, you knew it was only a matter of time before Team Douche hooked you up, too - and now the wait is over. 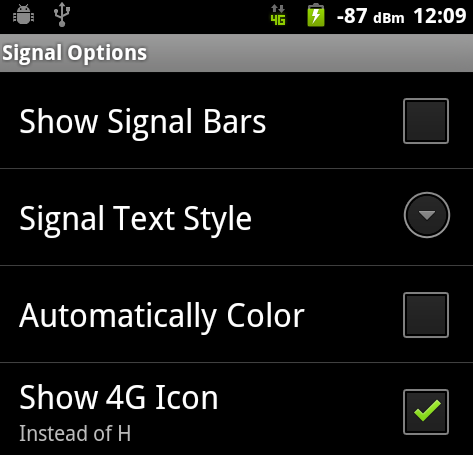 CM7 nightlies for the Droid 2 have officially hit the CyanogenMod mirror network. 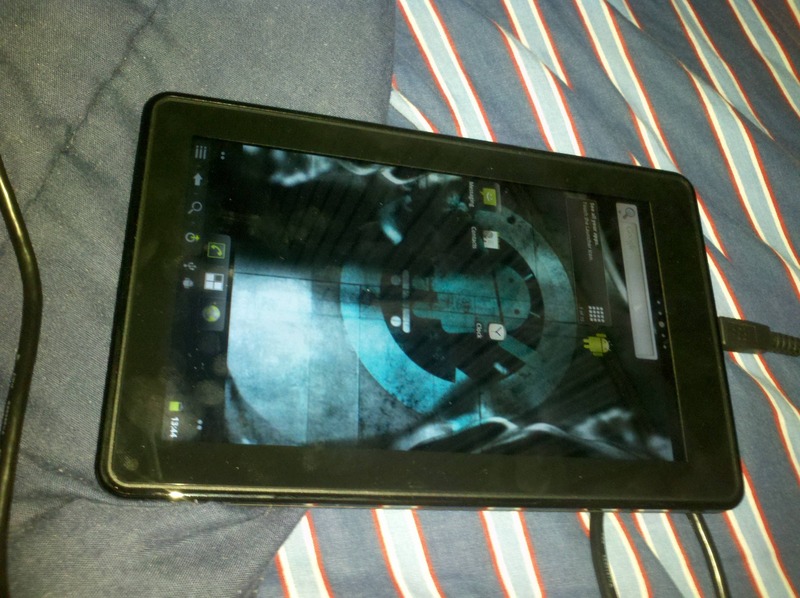 It's worth noting that this is build is for the Droid 2 only, and it will not work on the Droid 2 Global. Last week, we dropped our first CyanogenMod 7 Theme Roundup, and since then, we've gotten several great theme suggestions, as well as a bundle of requests to do another roundup - so here we are! This edition of the roundup brings some really nice offerings from the theming community. Everything from mellow colors with tones of blue and grey, to multiple colors that really stand out, there should be something for everyone. As Android users, we have a certain amount of freedom with our devices - especially if you're running a rooted device with a custom ROM like CyanogenMod. One of those freedoms is the ability change the look of Android with themes. In the past, changing themes required booting into recovery, flashing a zip file, and rebooting. On occasion, the theme wouldn't work correctly, so if you didn't perform a backup before you flashed, you were basically out of luck.